As with all life, it has to start somewhere and, for a mosquito, it starts with an egg. The more we know about mosquito eggs, the better chance we have of controlling the mosquito population. Mosquitoes have been around for much longer than we have. Although they are pests to us, they do have their uses in the environment. They are a good food source for other living creatures, such as birds and bats, as well as for fish. We don’t want to totally eradicate them, but we do want to achieve better control. What Do Mosquito Eggs Look Like? Where Do Mosquitoes Usually Lay Eggs? 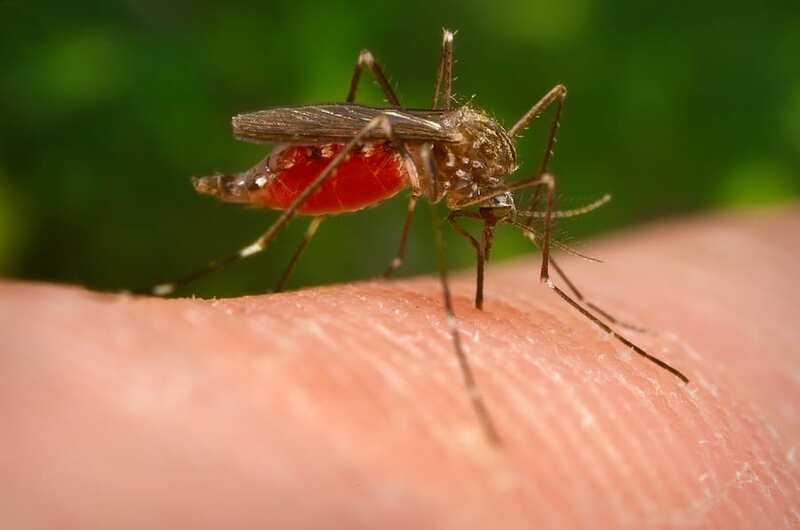 There are around 200 different species of mosquitoes found in the US and they all lay eggs. A typical female only needs to mate once in her lifetime and following this she is able to lay eggs for the rest of her life. The first batch she lays could contain between 50 and 500 eggs. Subsequently, the following batches will be less—approximately 100-200 eggs. A female will usually lay her eggs around three days after mating. She will do this throughout her life, which is—on average—about three weeks long. Given the right conditions, however, with ideal levels of moisture and temperature, she could live up to two months. If the female lives for three weeks, she is capable of producing up to five batches of more than 100 eggs at a time. If she lives longer, she could lay 10 or more batches—resulting in a fast-growing population of mosquitoes. Mosquito eggs are tiny and it is likely that they will go unnoticed before hatching into larvae. Each egg is less than .03 inches in length. Without the use of a magnifying glass, you probably wouldn’t see them at all. The shell of the egg, or the chorion, has two layers. The inner layer is opaque and the outer layer is transparent. When freshly laid, both layers look transparent and the eggs have a white appearance. Over time, as the cells change, the eggs will become black or dark brown in color. The shape of the egg will depend upon the species it comes from. Some are oval-shaped and others resemble more of a boat shape. Mosquitoes may lay their eggs so that they fall close together. The eggs then connect with each other, making a raft-like formation of between 100 and 400 eggs. Some species lay their eggs individually, or in small groups, however. Although laid individually, they could drift towards each other and connect, forming a shape that resembles a woven mat. The eggs rest on the water using the tiny flotation devices which are attached to them. These natural devices are chambers filled with air and are formed on the eggs’ outer layer (exochoria). Anopheles walkeri, or marsh mosquitoes, lay two different types of egg. In the summer months, they lay eggs that will hatch quickly—the same as most other species. When fall comes, they will lay their winter eggs. These eggs are slightly larger in size compared to the summer variety. Before they hatch, they have to be exposed to freezing temperatures and then they slowly warm up. This tells them that winter arrived, then passed, and now it is time for them to hatch. Depending on the species, mosquitoes will lay their eggs in different places. The one thing they do have in common is that it will always be around a water source. The water is usually standing or very slowly flowing. Water collected in old tires. There are many potential water sources that a mosquito could use. A female only needs a shallow depth of water to lay her eggs. This could be anything hollow that contains a small amount of rainwater could is a potential breeding site. When the female chooses to lay her eggs on the water she will test the water by taking a drink. It is not known if this is how she deems it suitable or if she is preparing her abdomen to release the eggs. Females do seem to favor water where others have laid their eggs before. She is able to see they are surviving and that it is a safe place to lay them. Some species will lay eggs in areas on land, where the ground is damp, like marshland. The eggs will remain unhatched until the next flood of water. They can lay dormant for up to a year or more, waiting for the perfect time to hatch. Spotting mosquito eggs with the naked eye can be difficult. There are other signs to look for that show mosquitoes are using your yard and house for breeding. Seeing mosquitoes flying around or hearing their high-pitched buzz are the obvious ones. Take action by picking up all the garbage from around your yard. Even the smallest container could hold enough water to make it a breeding ground. Store any pots or buckets in a shed, or turn them upside down if they can’t be cleared away. If you have a birdbath or a kiddie pool, make sure it is emptied and cleaned regularly. Mosquitoes like water where organic debris has collected. This will provide food for the larvae when the eggs hatch. You could even find stagnant water sources inside your home. The water trays of houseplants have the potential to be ideal breeding areas, for example. Mosquitoes are unlikely to breed indoors, but with the right conditions, it is possible. If you use a sprinkler system, check that there aren’t any areas where the water is pooling. If you find any areas, level them out or provide them with some kind of drainage. If you use a pool cover or a BBQ cover, make sure they are a good fit. You don’t want water pooling in any sagging areas. If it rains, keep a check on any covers or areas where rainwater collects. If there is any water buildup, get rid of it. Check that it hasn’t filled up any of the pots, buckets or wheelbarrows you may have in the yard. In some places, it isn’t possible to get rid of the water, such as ponds and water features. Treat these using a product containing Bti (Bacillus thuringiensis), which is a larvicide that works by killing the larvae. The most important thing is that you take action and prevent any further breeding. Use the advice above then continue to make thorough checks around your home and your yard. Look for any areas where mosquito eggs could be laid and either remove them or treat the area. With a little care and upkeep, you’ll stop any impending invasions of these pests.